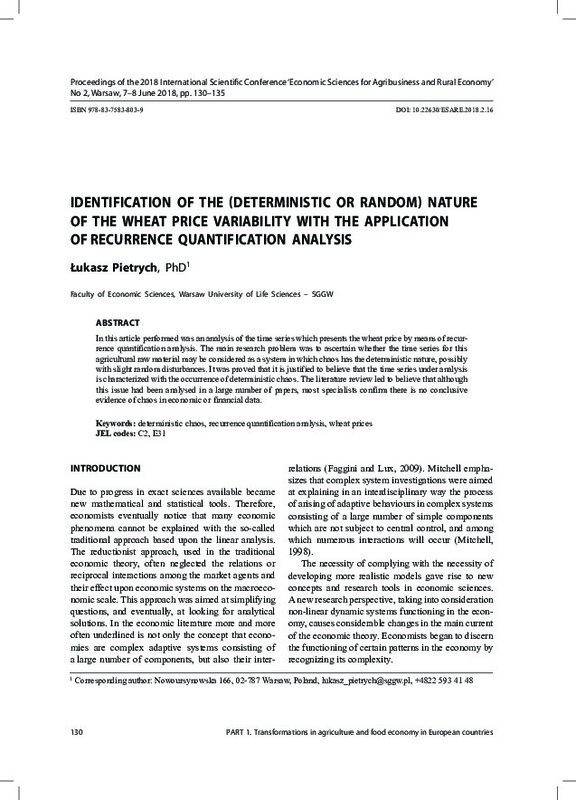 In this article performed was an analysis of the time series which presents the wheat price by means of recurrence quantification analysis. The main research problem was to ascertain whether the time series for this agricultural raw material may be considered as a system in which chaos has the deterministic nature, possibly with slight random disturbances. It was proved that it is justified to believe that the time series under analysis is characterized with the occurrence of deterministic chaos. The literature review led to believe that although this issue had been analysed in a large number of papers, most specialists confirm there is no conclusive evidence of chaos in economic or financial data.